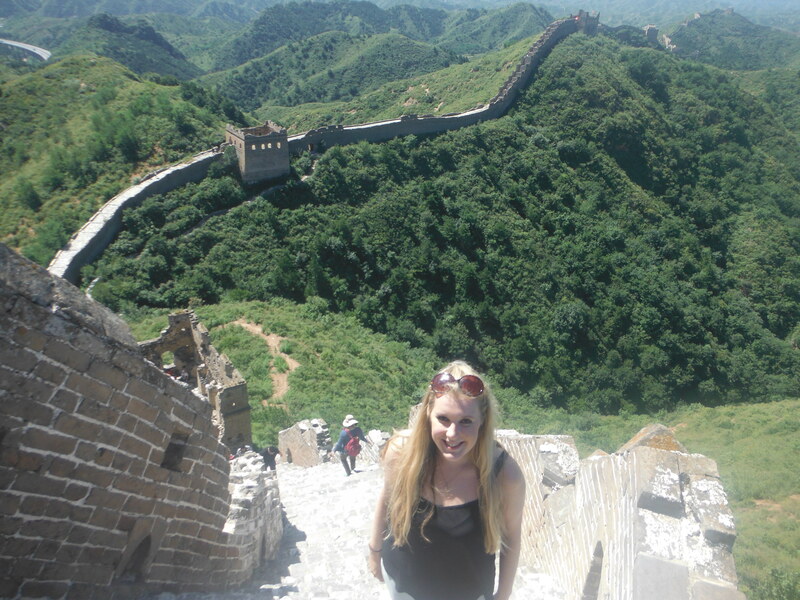 Alex Brown is in her third year studying English Literature at Cardiff University and took part in the Study China Programme in August 2013. 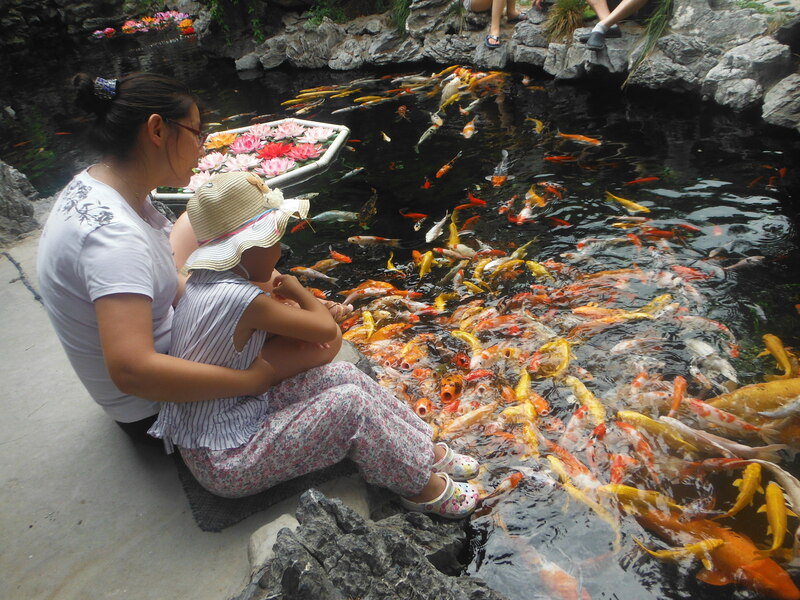 She spent three weeks learning Mandarin in Hangzhou, funded by the British Government, before travelling up to Beijing. 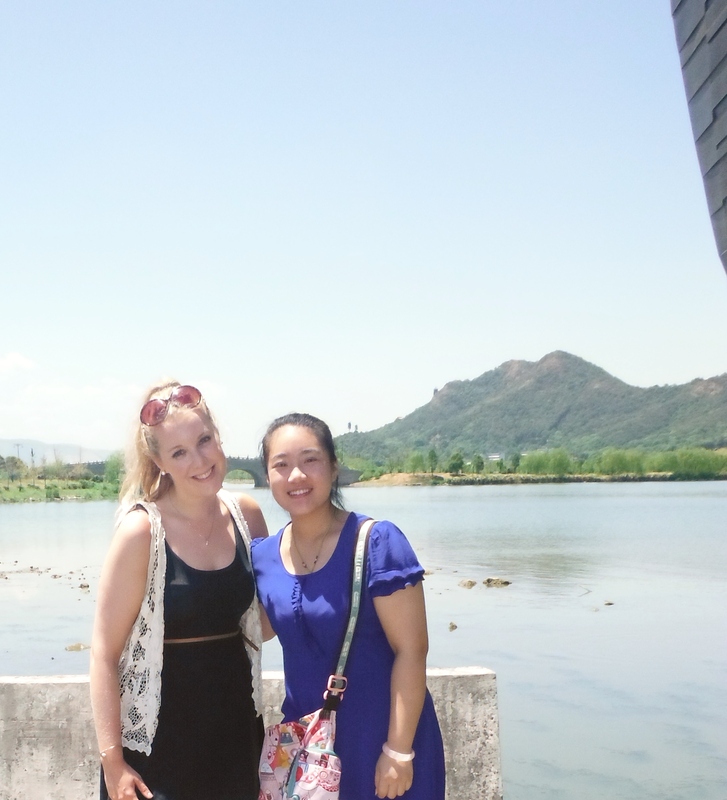 Here she explains how she came across this fantastic opportunity and what she thought of China. When I first received the email saying that I had been accepted onto the Study China programme I was beyond excited. The scheme, which is open to students studying at universities in the United Kingdom, runs twice yearly and aims to grant successful candidates a unique insight into China, its language and culture. 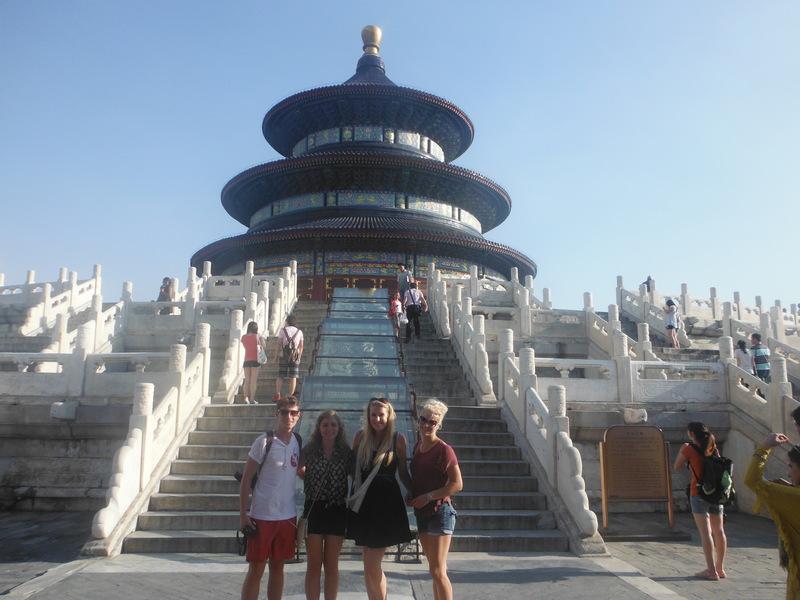 Funded by the Department of Business and Innovation, Study China provides successful applicants with 3 weeks tuition and accommodation at a Chinese university as well as organising trips and activities for students. The application process was reasonably straightforward. The questions mainly attempt to assess candidates organisation skills (planning a trip to China with limited notice is not easy), suitability for the programme and the potential future benefit of the programme for the candidate. I felt so lucky that out of almost 2000 applicants, I was one of the 200 to secure a place. With over 40 hours of language tuition, the academic itinerary was intense. Although the course focused on speaking and listening skills and did not even touch on the 6000 Chinese characters used in written communication, learning Mandarin still presented difficulties. Each letter has 4 potential ways of pronunciation, which much to our irritation often sounded the same. However, the initial excitement of a local understanding our broken attempts at Mandarin made our hours in the classroom worthwhile and drove my passion to improve. We were also required to take another academic module in subjects such as business or nationalism. I enrolled on a course exploring the relationship between the media, social control and social change in modern China. This topic was of particular interest considering that social media sites such as Facebook and Twitter are blocked there. The module featured a field trip to a successful newspaper ‘youth media’ which was a useful experience. As well as classes we had various scheduled trips planned for us as well as plenty of free time to explore. 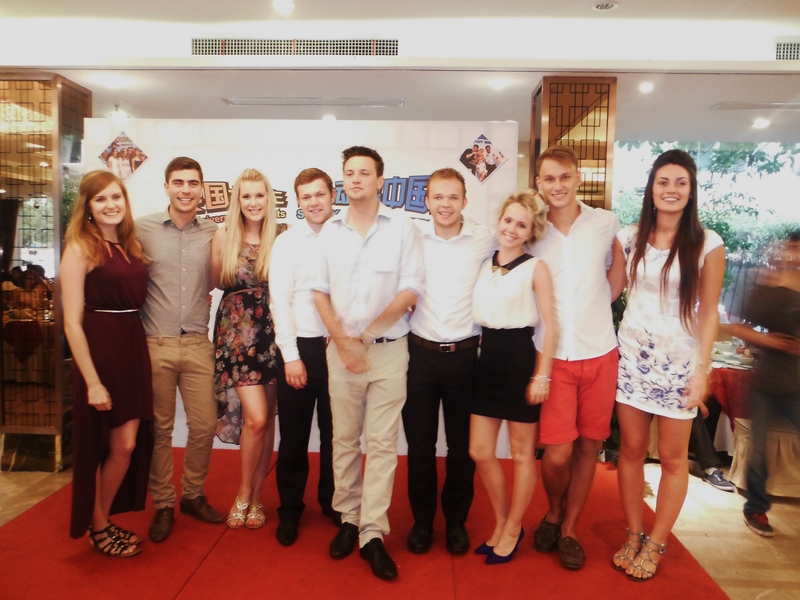 I was based with round 80 other British students at the prestigious Zhejiang University in the city of Hangzhou. It’s not hard to see why the district was labelled by Marco Polo as ‘heaven on earth’. 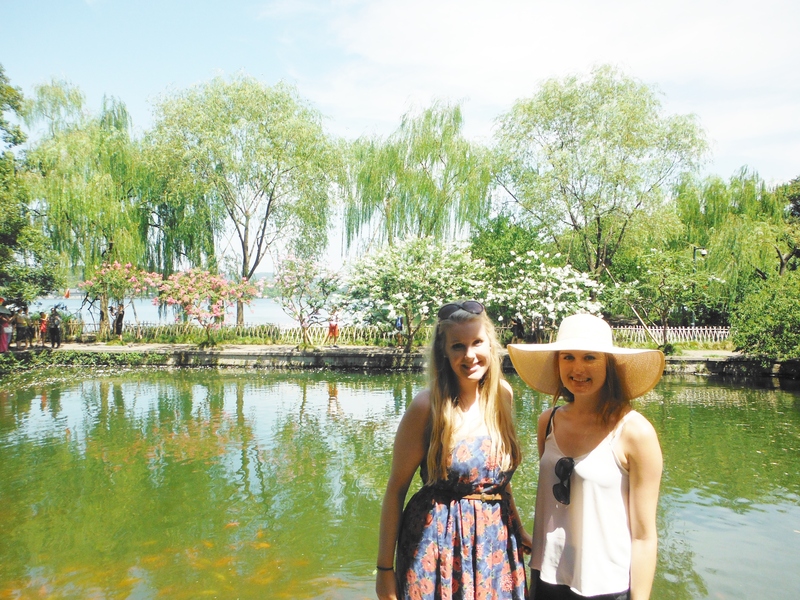 From visiting the famous West Lake to travelling further out to trek in the beautiful Mount Mogan, we definitely made the most of our stay in such an amazing region. Our exploring wasn’t just restricted to appreciating the natural beauty of Zhejiang; the city of Hangzhou came alive at night. From bustling street markets to trendy clubs and bars, it’s safe to say we experienced Hangzhou’s nightlife well, even if this did often make attending our 9am mandarin classes or 8am morning exercise classes more of a challenge! Despite our hectic itinerary we reserved the weekend for visiting the city of Shanghai. From traditional street food and ancient markets to the breathtaking modern skyscrapers which epitomise modern China. We headed to the exclusive rooftop club ‘Bar Rouge’ where we were blown away with the view of the bund and skyline which we struggled to believe had only 20 years previously been farmland. Shanghai is renowned for its shopping but despite securing many bargains, we were prime targets for inflated prices and fakes. On one occasion a shop claimed to be selling me real silk when I checked the label my suspicions were confirmed it was in fact ‘100% silk feeling polyester’! When we could no longer face the shops we treated ourselves to an hour long traditional Chinese massage which was an interesting (if very painful) experience! As the end of the three weeks approached, we knuckled down to practicing our Mandarin and preparing presentations for our final assessments. Despite our doubts we passed our assessments and before we knew it were attending the closing ceremony organised by the university. Our graduation from Zhejiang University was an unforgettable evening with a seemingly never ending supply of food, entertainment and speeches from students and staff. I can’t express my appreciation and gratitude to the teachers and students who made my time at Zhejiang so memorable. Determined not to leave China without visiting the capital, after the programme I travelled to Beijing. From visiting the iconic Tiananmen Square to wandering through the ancient Forbidden City, we began to appreciate China’s complex and unique history. We rented bikes to explore the city which proved fun even if at times slightly terrifying travelling alongside the chaos of the motorists! I even managed to fit in a trip to the Great Wall which was incredible. As western travellers we seemed to be the biggest tourist attraction of all and we became accustomed to being models in numerous pictures. One lady even dragged me off of a busy metro insisting I return to her house for cake! As we spent the evenings eating world famous Peking duck, and riding tuc tucs I finally felt I had begun to feel at home in the city. The generosity and kindness of the people we encountered was amazing. On one occasion my friend left his phone in a taxi and although the chances of getting a phone back in a capital city appeared minimal, after a nervous wait we saw the taxi driver pull his car over and run through 5 rows of traffic, desperate to reunite the phone with its owner. As one of the world’s most influential superpowers, understanding Chinese culture and learning Mandarin has never been more relevant or interesting. Study China offers students a unique insight into the country’s amazing cities, people and culture. As well as the extensive financial support offered by the programme, many UK universities offer their students further funding. The international office at Cardiff University even contributed £300 towards my travel costs. I couldn’t recommend the trip enough to any student with a desire to experience a new culture. Sounds like you had an amazing stay in China! I’m honestly very surprised about your friend’s experience with the phone; having lived in Shanghai for 2 years, most taxis will sell your phone back to you if you’re lucky. Also had two friends get their phones stolen in Beijing (one by a tuc tuc driver that tackled my friend and stole his phone, another by a shady taxi driver that took him to an outskirt)! So definitely not the norm. Chine is the place where you enjoy your moments and if you had learn about the mandarin than this is very best thing for you. First time when I was gone to china I didn’t know about mandarin that was also a good time for me but when I learned the mandarin and then I go there I enjoy more than first time. That’s why I suggest to everyone who want to go china, should learn mandarin first.